On Wednesday, March 20, 2019, the Northwest Mountain Minority Supplier Development Council recognized individuals that excel at advocating, including, promoting, and contracting with Minority Business Enterprises. The Northwest Mountain MSDC recognizes exellence in performance annually. Partner Shahzad Q. Qadri received the President’s Award, which recognizes one individual who supports the Northwest Mountain MSDC in an outstanding manner throughout the year without expectation of recognition. “I’m grateful for the recognition and the honor,” said Mr. Qadri. 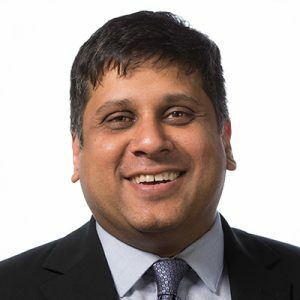 “I am committed to promoting diversity and creating opportunity for minority businesses, and I will continue with that commitment.” Mr. Qadri is a Partner in the Redmond, Washington office of Wong Fleming and the MBEIC Chairperson for the Northwest Mountain MSDC Board of Directors since 2013. Wong Fleming is a nationally recognized, AV-Rated law firm that represents Fortune 500 companies and other corporate clients in the areas of Commercial Law, Corporate Asset Recovery, Creditors’ Rights and Bankruptcy, Employment and Labor Law, Environmental, Insurance Defense and Coverage, Intellectual Property, Real Estate, and Premises and Product Liability. The firm maintains offices in the District of Colombia, New Jersey, New York, Pennsylvania, Georgia, California, Florida, Texas, Washington, Illinois, Indiana, Michigan, Tennessee, Canada, Mexico, and Germany. 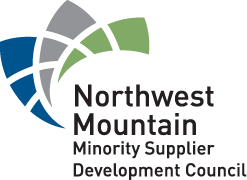 Founded in 1978, the Northwest Mountain Minority Supplier Development Council is a nonprofit organization whose mission is to drive economic value by equalizing opportunities. As an affiliate of the National MSDC, the Council certifies minority owned businesses and provides access to supplier development, supply chain inclusion, networking events, and even formal introductions. The Council serves the states of Alaska, Idaho, Montana, Oregon, Utah, Washington, and Wyoming.